In late 2010 or early 2011, the editors of Railroads Illustrated approached me to review an article Stephan M. Koenig submitted to them about Oregon's City of Prineville Railway. I offered some extensive comments and suggested corrections, along with some archival images from my collection, all of which earned me a co-author credit on the article. 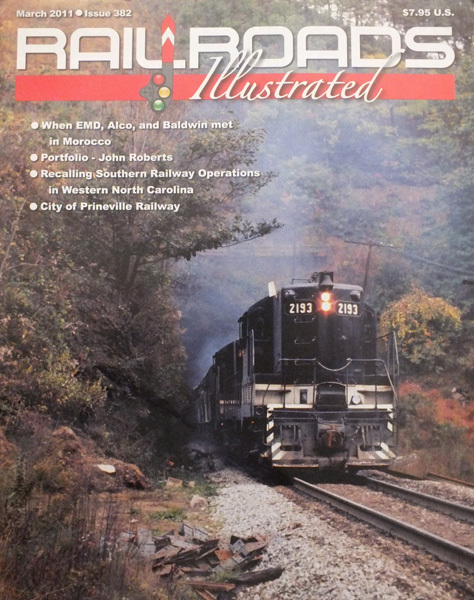 As noted above, Railroads Illustrated is now an annual special publication, but back issues are still available.